I didn’t have very much time to shop this year (which was probably a good thing!). It’s also a bit difficult for me at fibre festivals because although there are so very many pretty yarns, they can be very difficult or impossible to find later. When I design, I like to be able to use and recommend a yarn that is a little easier to get your hands on! That said I did pick up a few pretty things! I had some friends to shop for too, so that gave me a bit of a mission. Cormo! These skeins are from Buckwheat Bridge Angoras, one skein of DK weight in natural and three little laceweight skeins in the mustardy-pumpkiny-golden yellow I love so much these days. Enough for a little shawlette, I think! More Cormo! These are 50% cormo, 50% yak down from the ever so lovely Bijou Basin Ranch. I love their yarns so much, and now they’re getting stuff dyed by Lorna’s Laces! I think these are destined for a couple of smaller projects, maybe some mittens and a hat. This one was just for the squish. A couple skeins of merino from Greenwood Hill Farm – they have some of the nicest merino I’ve ever felt! Maybe a little something cabley for these. I had actually wanted to buy some dyed fibre this year but just didn’t quite get to it. I did, however, buy a bit of cashmere fibre! Mmmmmm. I can’t wait to spin this up – and I’m already plotting how to get more shopping time next year! Looks like you scored at Rhinebeck! 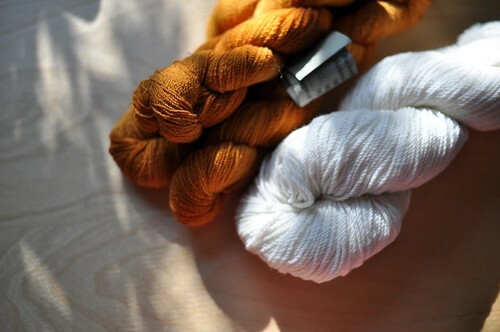 I love the pumpkin-colored skeins – such a pretty shade! 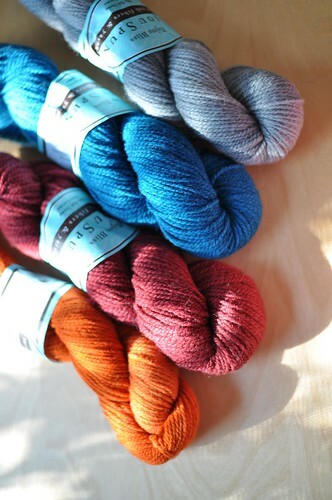 Nice assortment of colors on the Bijou Basic, also. It will be interesting to see what you make from them. 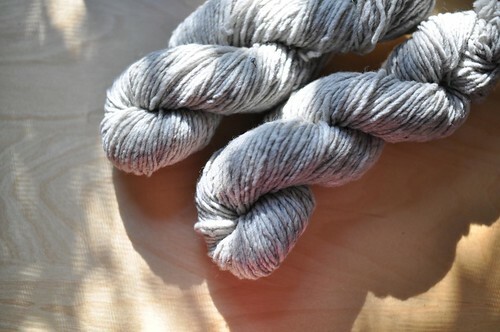 I fell in love with the softness of some of the alpaca yarns, and ended up with a 660 yd. skein of Bare Alpaca. I liked it so much, I am sure I’ll be inquiring about getting more. Luckily the ballband had the contact/website info – http://www.woodstockknits.com. I appreciate that you choose yarns that are easy to get a hold of when you design. 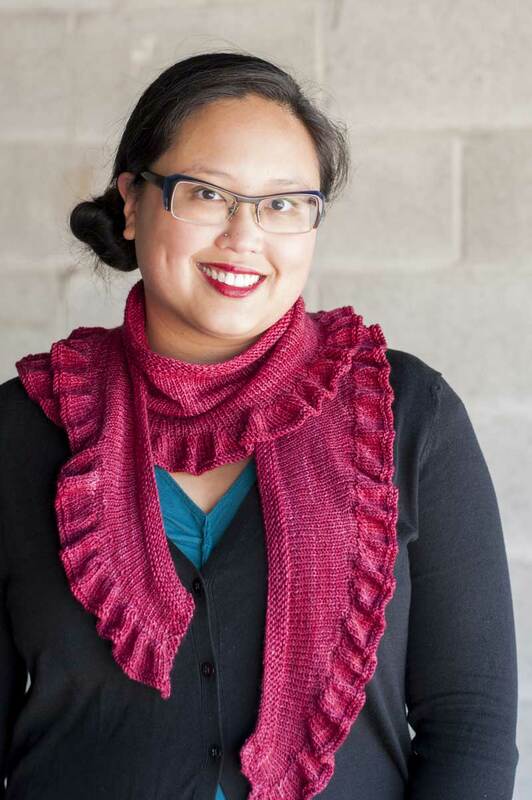 If you really fell in love and wanted to design with a yarn from a small yarn producer, you could offer a kit, so you could be sure that there would be the fiber available. 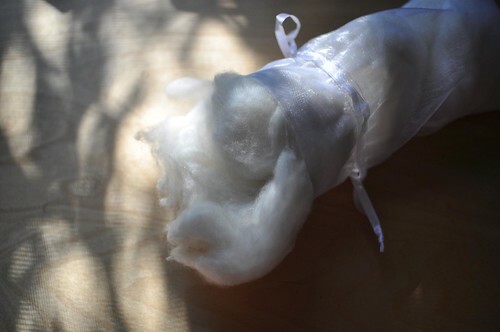 Then the rest of us who can’t make it to a Fiber-show could enjoy some of the rare treats found there. Thanks for sharing! I love your taste in yarn. I just went on a spending spree myself! I can’t help myself around yarn. It’s just all so delicious. I can’t even imagine what trouble I’d be in at a fiber festival!